Liar’s Lake Exotics is my childhood home, owned and operated by my mother Cynthia Darling. The site has gone through many changes over the years, and this is the most recent version. 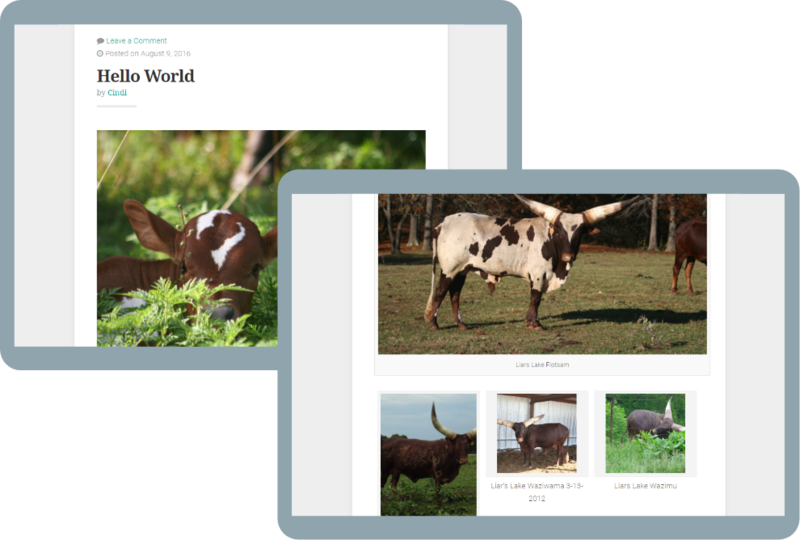 Fully responsive, this site translates beautifully to mobile, meaning that users can keep up with the antics at the ranch on the go. 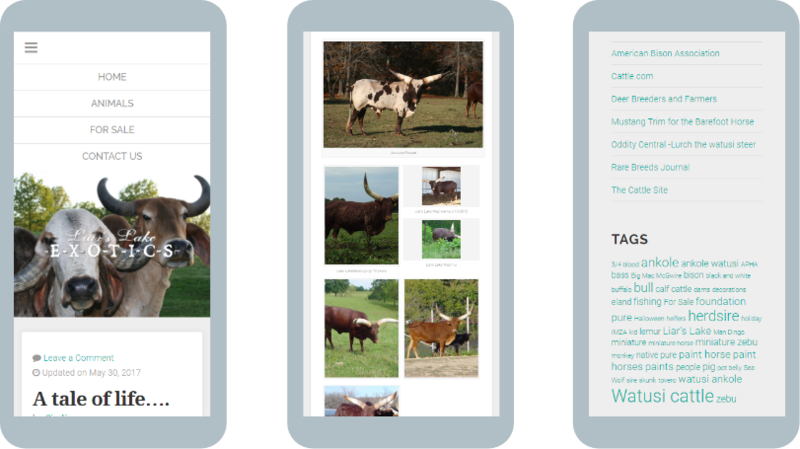 Mobile access is important for people in the agriculture industry, as you don’t really have time to sit in front of a desktop computer all day, and access to the World Wide Web is vital for keeping up with the industry and making your business competitive. Web hosting - I provide a domain name, hosting and the technical administration that comes with it. Technical administration - This involves updating and maintaining the content management system (CMS), email server, and any other backend (not visible to users) content. Graphic design - I provide graphic design skills (logo design, print design, image optimization, etc) as needed by the business. Website maintenance - I provide both technical and administrative maintenance as well as SEO maintenance. This means keeping on top of changes to search algorithms and ensuring the website conforms to SEO standards, also known as optimization.